With the same cynicism and ruthlessness that their beloved charter schools employ to toss out any students who threaten their sacred test scores, billionaires have instructed our elected officials in Albany to toss out the will of the people and the well being of the 94 % of New York City public school students which threatens the ever increasing plutocratic dominance of education. Many in Albany, none more than the almost supernaturally despicable Governor Andrew Cuomo, have proven themselves only too happy to serve as valets for the super rich and their representatives like education entrepreneur Eva Moskowitz. Who can forget Cuomo’s shameless appearance with Moskowitz and the hundreds of school children she bussed up to Albany to act as her living, breathing, human political pawns? Other elected officials, no doubt mindful of the treatment Mayor Bill de Blasio has received over the last three weeks — and no doubt too, recipients of threats or promises from the same folk who insinuated Bill de Blasio, married to an African American, is somehow a racist — have responded to the plutocrat’s requests with a state budget agreement that is shocking — or should be shocking — in its naked pandering to a handful of billionaires and their extraordinary demands for charter schools and casual contempt for New York city public schools. TV talking heads nodded sympathetically with the suddenly omnipresent Moskowitz, never questioning a single claim the woman made, no matter how preposterous or false. The airwaves were filled with no less than 3.5 million dollars worth of super slick tear jerking commercials showing the beautiful young faces of school children (again using children as political pawns) being somehow deprived of an education by the evil monster named Bill de Blasio. What has transpired in the past month is as disgusting as it is disturbing and would not survive in a vibrant and healthy democracy. In a sick and dying democracy, such as we are now experiencing, such stuff has simply become the way the zero sum game is played. And it has done so with astonishing speed. We have become, a government of the super rich, by the super rich and for the super rich. The state budget agreement is simply the most recent example. And we have, by and by, acquiesced, if only by default. We are as a people, as a nation, wholly ill equipped to deal with such a rapacious class of predators, the desire of whom is nothing short of the whole sale privatization of the entire public school system with themselves – hedge fund mangers, financiers, and Wall Street tycoons — at the helm, insuring the vast publicly funded revenue stream is diverted into their coffers. In the meantime, they are celebrated as heros when not out right saviors. It is they, billionaires and entrepreneurs, who care about educating the poor and the marginalized, not the teachers who have dedicated their lives to this noble and difficult endeavor. This is beyond dangerous. This is beyond cynical. It is a ticking time bomb. No nation can survive this kind of insanity for long. I fear for my daughter in a world usurped and ruled by such people. I fear for all our children. And I don’t really know what to do about it. And I don’t know anyone who does. But we must do something. The agreement is to be voted on tomorrow. The very least we can do is call our elected officials and remind them for whom they are working, and that we will remember what they do tomorrow come next election day. I am heartened to see the beginning of a campaign for justice for those teachers who have been unfairly “discontinued” from the Department of Education. It is important for all to understand what it means to be “discontinued. ” It means that your years of education are now rendered professionally useless because you will never work as a teacher again in New York City nor, likely, elsewhere. It is, in effect, a blacklist. Here. In America. In 2014. This extraordinary situation is the result of the decision of but one person, a person who is not even obliged to give a reason for your professional destruction. I do not know the numbers of the “discontinued “ teachers during the Bloomberg reign, but I’d be willing to bet they skyrocketed for the following two reasons: a) the proliferation of ridiculous and incompetent principals who were encouraged to fire as many teachers as possible for any reason or no reason b) the fact that there was little or no effort from the United Federation of Teachers to stop them from doing so. 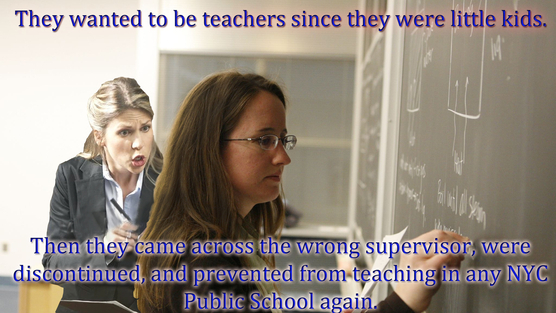 The scandal of “discontinued “ teachers is no abstraction to me. Indeed, it is extremely painful. Three years ago this June, in the school where I am chapter leader, no fewer than three fine teachers were discontinued in one year, the same year almost one fourth of the staff was U rated. The administrator responsible for this outright butchery — Kayrol Burgess Harper, lionized in Steven Brill’s preposterous but revealing Class Warfare – was, like so many horrendous principals, a graduate of Bloomberg’s Leadership Academy. Less than two months after Harper’s massacre, she was removed from her position and sent packing — an extraordinary turn of events under a regime in which teachers were considered guilty until proven very, very innocent and principals were deemed all but infallible. I understand that she has since been warehoused in another school. Incredibly, the fact that she was removed had no bearing whatsoever on her savage judgment on so many of my colleagues and myself. I know of no other profession in which the judgment of a supervisor remains credible after said supervisor is deemed incompetent or worse. Even though all three discontinued teachers were a loss to our school, one in particular proved a loss for the entire community that is felt to this day. This was my friend and partner ESL teacher, Jafar Smith. In the three years that he worked at PS 149, quite outside of his excellent work as a teacher, Smith forged relationships within the school community and the community at large the likes of which I have never seen before or since. (For the record, Smith received satisfactory ratings the first two of his three years teaching.) An African American convert to Islam, Smith proved a perfect fit for a Harlem school in which there is not only a significant African Muslim population but a painful shortage of African American male teachers. On his own time and his own dime Smith made countless home visits to speak to parents of troubled students, volunteered to coach softball when the school ran out of money to pay per session, served as the ever available ambassador to the Harlem community and God knows what else to help the children in his charge. The man was tireless, his empathy boundless. His firing stunned and horrified colleagues and students alike. Indeed, this act of madness and malice reverberates still in the school where teacher and student alike universally remember Smith with something akin to reverence. Worse was to come. Slowly. Smith, a devoted father of five, was told by the UFT that the discontinuation had merit only in District Three where we were employed. Smith set out to other districts and met with principal after principal who, after speaking with the man for five minutes, hired him on the spot. Or thought they did. Again and again all were soon to discover that, despite Bloomberg’s blather about “empowering” principals, discontinued teachers were blacklisted across the city and perhaps beyond. There was nothing a principal could do. Under Bloomberg principals seemed to be empowered only to destroy people ‘s lives and do so with absolute impunity. Unable to find teaching work in the land of his birth and the home of his family, Jaffer Smith now teaches in Saudi Arabia while his family of six lives in North Carolina. This is wrong. And worse than wrong. And what has happened to my friend has happened to many. We, who were fortunate enough to survive the Bloomberg years, would do well to do all we can do to bring justice to those who were not so fortunate, those who were tossed away as if they were human trash. This petition is a good start. But it is only a start. I’m more than willing to spend every moment I can to do more. I do not know what can be done but I know that something must be done, for Jafar and all the others. This blacklist must be exposed and lifted. Please sign the petition found here and pass it along. Addendum: Received this in the mail: Patrick this blog just made me very sad, as I left an immensely satisfying life in Key West to return to NYC to get my Masters and teach in my hometown. I taught at a Catholic School in Queens for 5 years but left a job where I was appreciated and sought after to go to the NYC DOE for money…and scorn…and contempt. To be dumped on my ear as you well know, I was unable to win my hearing and every where I interviewed they contacted NYC and informed me they decided to go in a different direction. I could get no work in a field in which I have a Masters Degree and ended up selling cars to earn money. The DOE sold us out and then black-balled us so thoroughly that we became the American version of the “Untouchables”, no one wants us. United States Secretary of Education Arne Duncan stunned much of official Washington today when he announced that he plans to legally marry the Common Core State Standards “sometime in the very near future.” Mr. Duncan made his announcement at a press conference in the Rose Garden, surrounded by President Obama, Attorney General Eric Holder and new Under Secretary of Education, Ted Mitchell, former CEO of the NewSchools Venture Fund. Reporters appeared to be momentarily silenced by what many considered the strangeness of the statement but quickly recovered and questioned both the timing of Duncan’s announcement and the authenticity of Duncan’s motives, as well as the legality of the act itself. the country, especially in New York State. education is the civil rights issue of our age. Our marriage is just another Rosa Parks’ moment on our way to helping all of our children become college and career ready.” Duncan, still legally married to Karen Luann Duncan, acknowledged that before the marriage to the Common Core could take place he had to first divorce his current wife. Holder is said to be personally involved in this process which he is prepared to expedite. Duncan would neither deny nor confirm the rumor that Andrew Cuomo offered the use of the Governors mansion in Albany New York for the ceremony but did acknowledge that Cuomo would be a guest at the wedding. A press release from the Department of Education revealed that the ceremony would be a gala and star-studded event with guests including Mark Zuckerberg, Wendy Kopp, Randi Weingarten, Oprah Winfrey, Mike Bloomberg, Sean “P Diddy” Combs, Bill and Melinda Gates, Joel Klein, Michelle Rhee, Bono, Eli Broad, David Coleman, Rupert Murdoch, John Legend, Jeb Bush, Thomas Friedman, Kid Rock, Bill Keller, Corey Booker, Whitney Tilson, Caroline Kennedy, as well as President Obama and First Lady, Michelle Obama. The ceremony will be presided over by President Obama. 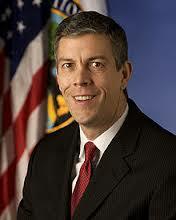 David Coleman, the “architect” of the Common Core Standards, will give away the bride. Dennis Van Roekel, president of the National Educators Association will serve as best man while American Federation of Teachers head Randi Weingarten has agreed to be the maid of honor. The event will take place in an undisclosed location and will be funded in its entirety by a grant from the Bill and Melinda Gates Foundation. Note: This post is dedicated to the pea-heads in both the DOE and the NYPD who thought it a good idea to throw my courageous friend and colleague Francesco Portelos in jail for 33 hours for writing a piece as silly as this. Good thinking fellas! These are strange and terrifying times in which we dwell and we need more than ever to look after each other. I was standing before my class teaching when I heard and felt it: the building shaking under my feet, the windows rattling, and the boom that sounded way too much like a bomb. My students, seated, froze before me, wide-eyed, silent, scared. They are too young to have memories of 9/11 but old enough to understand that something very strange and very scary has happened. I am disturbed. My job requires me to do all I can to insure the students remain calm. The sound was so loud and so violent I walked over to the window expecting to see a catastrophe and found instead… people walking, cars going by, the sun high in the blue sky. Nothing out of the ordinary: a typical scene from a Harlem morning. I call my principal and ask her if she knows what is going on. She does not but she knows she must. In a moment, she calls back, asking me to come down stairs to help a respond to whatever it is as I am a member of the school safety team. Within what felt like minutes I hear helicopters (many) and sirens (many more.) We still have no idea what is happening. The school undergoes what is called a Shelter In. This means that all doors are secured, no one leaves or enters the building until the source or the nature of the problem is identified. This is part of the legacy of 9/11. Little by little news filters in. A building has collapsed a few blocks away. No one knows why. Little by little the air is filled with the stench of burning rubber, wood, and God knows what else. It is soon unbearable. We rush around the school trying to determine whether any of our students live around or — in a nightmare scenario- in the collapsed building. Thankfully none live in it, even as many live around it. Frightened parents, quite naturally, bombard the school with calls. Is my child safe? Yes, your child is safe. And they are soon all sent home. It is my lunch hour and curiosity drives me to walk the three blocks and see with my own eyes what I’ve been glimpsing on iPod screens. The moment I walk out the door I can feel something on my skin, taste something on my tongue. Whatever it is did not issue from nature. I wander up to 116th and Madison, one block from the collapsed building. That’s as close as you can get. Everywhere you look there are cops and firemen. Helicopters hover in the air a few hundred yards away as so, I’m told, not to further weaken the surrounding structures with their vibrations. Hundreds of people are standing, still and mute, staring into the smoke. The stench is so bad many are wearing gas masks. I wish I had one. Cops hurry by yelling into radios wearing high tech masks that make them look like aliens. There is press from all over the world. I hear people speaking Dutch, Japanese, and languages I don’t recognize. I wander inadvertently into a crowd of press people, many reporting live. I overhear a reporter say there are 14 dead and two injured. I’m shocked. I wait till she stops filming and I approach her. “ Excuse me,” I say. “Did you say there are 14 dead and two injured?” “ No,” she says, “I said there were two dead and 14 injured. Didn’t I ? “ “No, that’s not what I heard. “ She looks at me horrified, curses, then runs away, trying to chase somebody down. A Captain Dennehy of the NYPD approaches the reporters to tell them about a press conference to be held in ten minutes down the street and asking them not to walk near the “crime scene.” The phrase crime scene sends a chill down my spine. I later learn it is standard operating procedure to call it so until a cause is identified, but I did not know that at the time. My face stings with whatever is in the air and my eyes begin to burn. I return to my student-less school to find the stench has pervaded the building and all of the teachers and staff are nauseous. Some have trouble breathing. My principal, a wise and compassionate soul, does the right thing and sends them home. I go with them, realizing only on the subway how thoroughly the stench has permeated my clothes. I positively reek. I come home to watch Mayor Bill de Blasio give a press conference on TV from the scene. He is striking the perfect blend of intelligence and compassion. He talks about the first responders continuing their search for “ the missing. ” New Yorkers know all too well what those words mean. I find my self thinking, against my will, how easy these souls were to find this time just yesterday. I am exceedingly grateful to be here in my humble home, with my wife and my daughter. Aftermath: Two days later, you can still smell the smoke, if faintly. 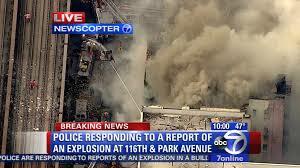 The cause of the explosion remains “undetermined.” The death toll now stands at eight with dozens injured. Ominously, some of the missing remain missing. Even as Mayor Bill de Blasio’s handling of the issue of charter school co-locations has disappointed many, it has signaled the end of the era when the likes of entrepreneur Eva Moskowitz is granted what ever entrepreneur Eva Moskowitz wants, regardless of how many public school children are displaced, short changed and treated as if they are second rate citizens. Over the past week and more, Moskowitz has received absurdly favorable press in New York City papers, even as she once again removed children from schools during school hours, this time to bus them to Albany as if they were adult lobbyists. After years of incredibly favorable treatment by the Bloomberg administration, de Blasio has had the political courage to stand up to Moskowitz and her billionaire backers. As a result, Moskowitz and her friends in the media are doing all they can to paint her and Success Academies as victims and create the false appearance of overwhelming public support for Moskowiz and the horrific and destructive policies of Mike Bloomberg. They have flooded the air-waves with slick, heart tugging commercials, engaging in a multi-million dollar public relations campaign designed to do nothing less than trick the public into forgetting that de Blasio won by a margin of 75% over Joe Llota, in large part because of de Blasio’s rejection of Bloomberg’s education policies, of which Moskowitz is such a perfect example. Tomorrow we have an opportunity to once again reaffirm the public will, let Moskowitiz’s billionaires know that they do not own our schools and our city, and let de Blasio know he is not alone. Please, if you can, come and let your voices be heard loud and clear. 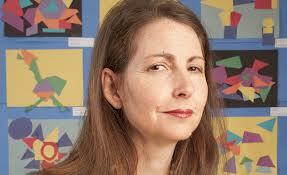 Come and remind Moskowitz’s billionaire backers that we live in a democracy. Above all, come and help insure that all of our children are shown the dignity that all children deserve.